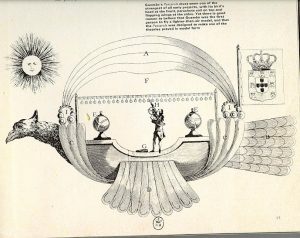 Passarola was the name of a lighter-than-air ship demonstrated in 1709 by Fr. Bartolomeu Lourenço de Gusmão, a Jesuit priest before His Majesty Joao V.
What? You’ve never heard of Passarola? Well, it’s possible that the ship was a small balloon, but he was an early experimenter with lighter than air travel. The fanciful drawings of his craft are fascinating depictions of imagined inventions that could never fly, but I salute his spirit. To me, Passarola represents freedom to soar in the aether of imagination, the striving for self-expression and creativity.